I am a painter working in pastels, with some oils, and acrylics. I sketch in pen and ink. 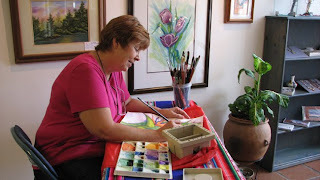 As an artist my original paintings are influenced from living in Texas, New Mexico, Arizona, Colorado, Bolivia, Peru and Chile, and travels throughout much of Canada and all our fifty States. This is my spot for posting paintings and sketches, to muse mostly about art, life and a little about UT Baseball. 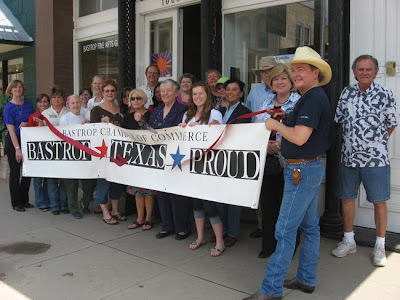 Gallery: Art Connections Gallery 123 N. Main Street on the Square in La Grange, Texas. My Home Studio is open by appointment. I will continue to give limited classes there. Call, 512-581-1106 or send me an e-mail to check on classes or mentoring. Visit my website at www.jocastilloart.com. 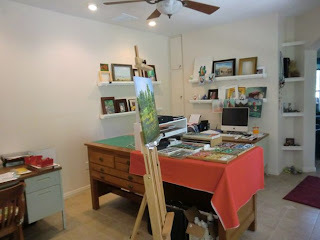 I have been promising to put up some photos of my wonderful new studio. It is really becoming mine and is very comfortable and useful. I cannot believe I have accumulated so much stuff already. It was completely empty when we got here, so after some work by Gene and some purchases it is just about done. I need more paintings on the walls but other than that, I can call it my studio. 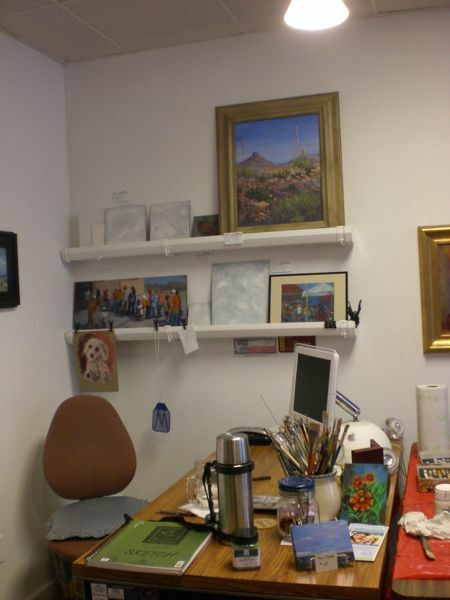 My old studio had paintings from friends with only a few of mine that were ready to show. It is inspiring to have work by other artists to peruse. This is my studio as you walk in. My new drawing table, thanks, Regina. 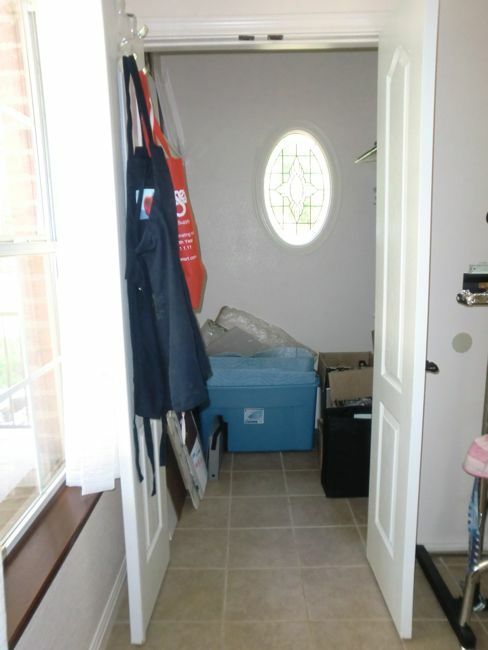 You can see the closet doors to the left. The ceiling fan is reversed so that it does not blow down on the pastels. That would not be good to have pastel dust blowing around. 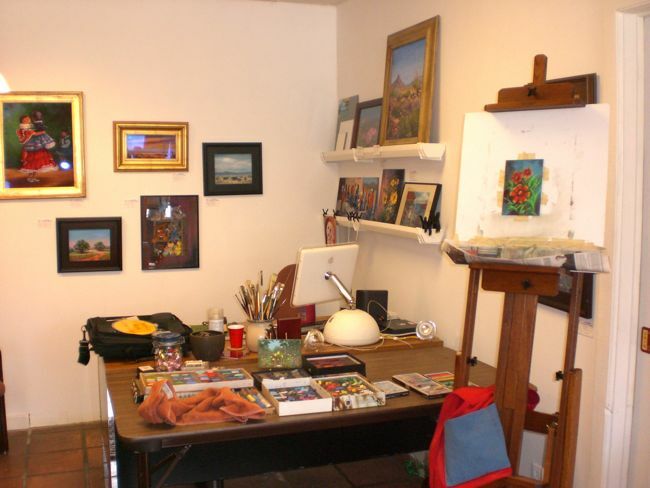 You can also see my two studio easels, One metal and one wooden. They both cover a small floor area, giving me more floor space. Not shown in the photo are rubber pads and drop cloth that I stand on when I paint. The tile floor can be hard on feet and legs. The back corner has one of the desks and is great for our “home office” for Gene. The other side of the drawing table with shelves in the back. The rug on the floor is to catch the pastel dust off my feet if there is any to avoid tracking to the house. With the pastel trays I use I don't have much of a problem with that. Gene made me a metal tray and then I use aluminum foil or newspaper under that. A closer look at the shelves. They are rain gutters that Gene hung on the wall for me. So handy for putting paintings, framed or not. 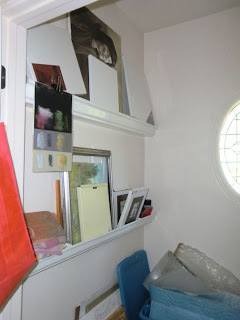 I sit any bottles, tape, etc., in them, and hang art with clips. Inexpensive, no need to paint and good for many uses. You see my computer desk, too. A look out the windows with a couple of pieces of art to the left that are not mine. 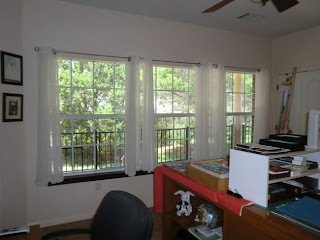 The windows look to the front porch and neighbors. Walking into the closet. It has a nice window so rarely need the light in the daytime. 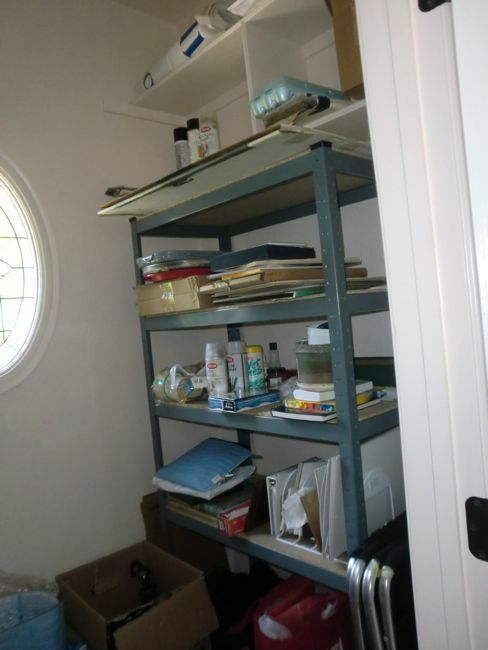 More rain gutter shelves on the left and wide heavy duty shelves on the right. Maybe this is helpful to give you some ideas. Make an appointment and stop by and see it in person sometime. We can paint there or out on the porch. Jo Castillo Art Studio and Gallery, downtown Bastrop, Now Closed. I'm leaving this page intact for the history of it all. 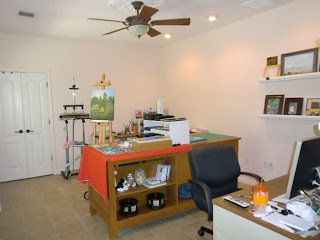 My gallery was open from April 1, 2010 to March 31, 2011. Every artist has a dream to have their own gallery. I was the same. I should have tried it about 20 years ago. :-) However, we have been retired since 1994 and running a gallery is a full time job and that "interfered" with our retirement! No spur of the moment travels and paintouts -- I will enjoy doing those things again. I will still be creating art. I won't retire from that. I will be working in my home studio which is open by appointment. I will also be painting on the road when we travel. 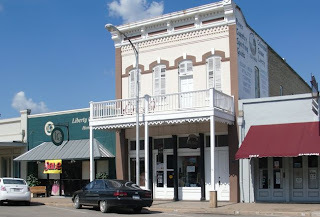 I have rejoined the Bastrop Fine Arts Guild so a few pieces of my art are hanging in the same building where I had my studio. The Guild took over the space and the whole building is still full of art. Nice. 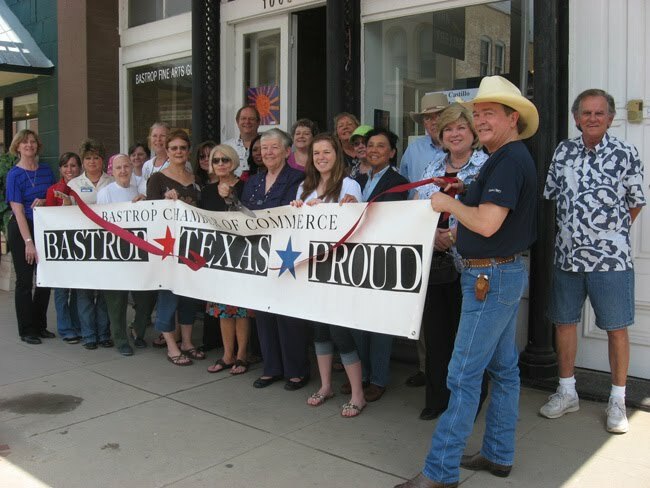 The hours at the Guild Gallery are 10:00 a.m. to 5:00 p.m. Tuesday through Saturday at 1009 Main Street in Bastrop, Texas. 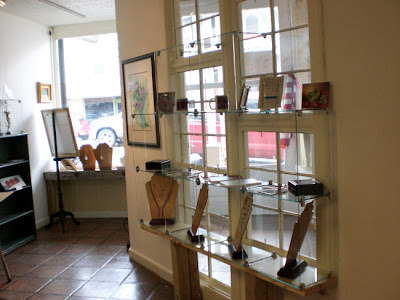 Stop in and see all the great art. Many styles, techniques, media and artists. Judy Hawes now has her jewelry at Deborah Johnson's studio across from Grace's Restaurant on Pine Street. You can also find Judy at the Bastrop Senior Center on most Wednesday afternoons painting and teaching artists there. Mondays and Saturdays by appointment or if I'm working on a project. Call the studio 512 629-6294 or send me an e-mail. 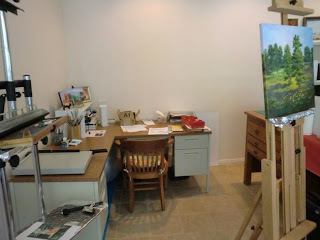 Jo's studio is for working and making my art. 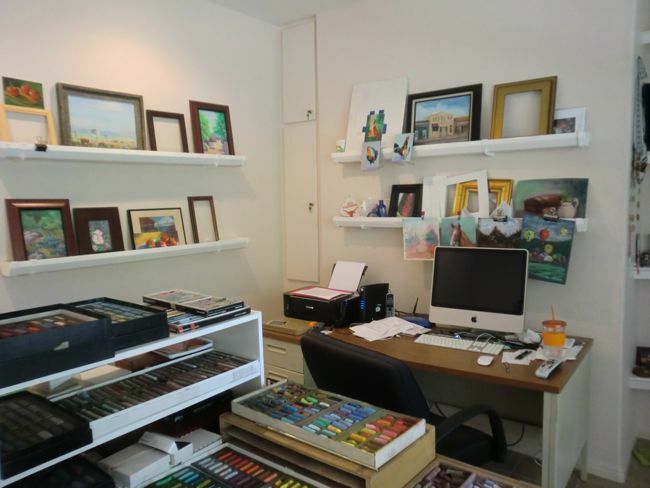 I show and sell my original pastel, oil and acrylic paintings there. 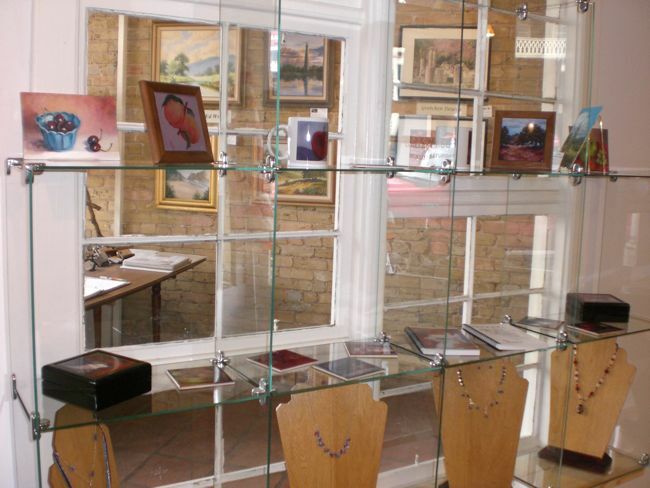 You can drop in and see my work. In addition to my larger paintings, I have my small Jo's Notions paintings there, $50.00, 5 x 7 inch original paintings. All paintings look better than photos can represent, you need to see them up close and personal. Please check my website to preview my work and for prices and purchase information. I have a few gifts from my cafepress.com store on hand as well. I carry jewelry by Judy Hawes. Judy's jewelery is one of a kind and very creative. A few pieces have her paintings included in them. When I am traveling, Judy will take care of the Gallery for me. 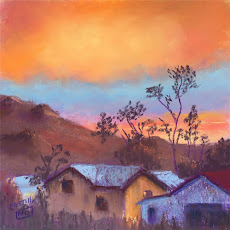 I also have original pastel paintings by Regina Calton Burchett. Regina and I have been pastel painting buddies for several years. She is a very talented artist. There are some prints and cards there from Regina's paintings. You will find prints by Tommy Byrd and Kathy Street, (Byrd and Street) too, and their two CDs. 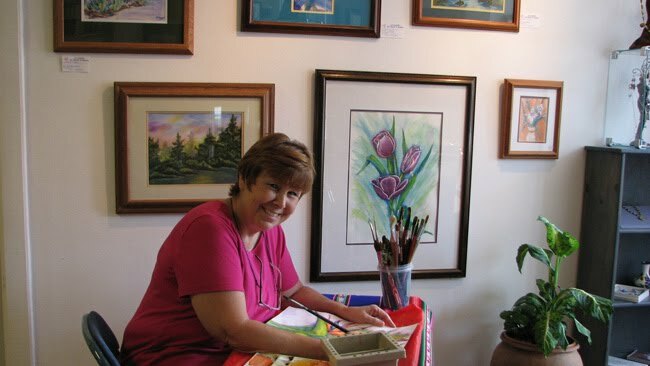 Judy Hawes working in the studio. 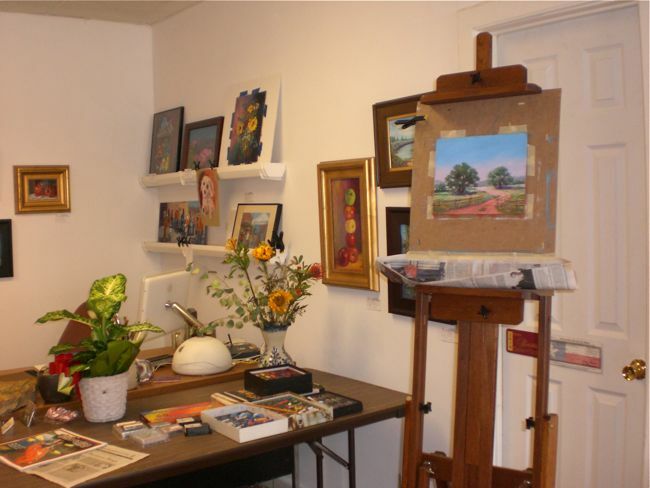 Judy Hawes painting at the studio. "Welcome to the Hill Country", pastel, on Jo's easel. 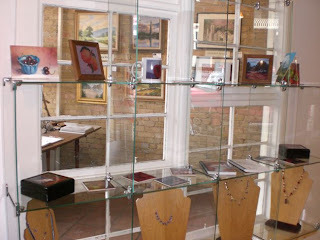 Judy Hawes' jewelry display and Jo's paintings. 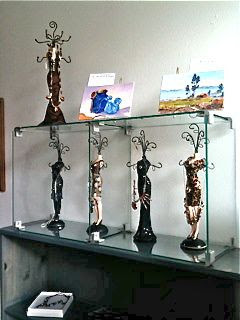 Jewelry display and gift items. Jo's desk and work shelves that Gene made from rain gutters. Very useful. "Blankets", pastel, 7 x 5 inches, on Jo's easel. I often post more than once a day, so be sure and check my "Home" tab and scroll down. I label my posts here so if you are looking for ART you can find it easily and you can skip the few posts about family or baseball. :) You can search my blog in the search box, top left. The category labels are at the very bottom under the posts. I hope you come back soon and join in on the discussion and learning about art .. oh and UT baseball. It's all for fun. By the way, you can click on the photos to make them larger. These folks follow my blog, Yippee! 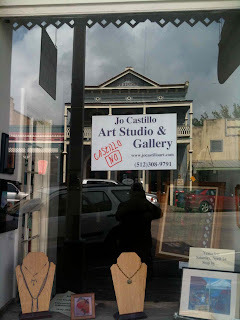 All writing, photos and paintings are the property of Jo Castillo. Check with the artist for use.. Picture Window theme. Powered by Blogger.